Hello friends!! Hope you all are doing well, I am here with my first card of 2018. Beautiful sketch over at CASE This Sketch Challenge. 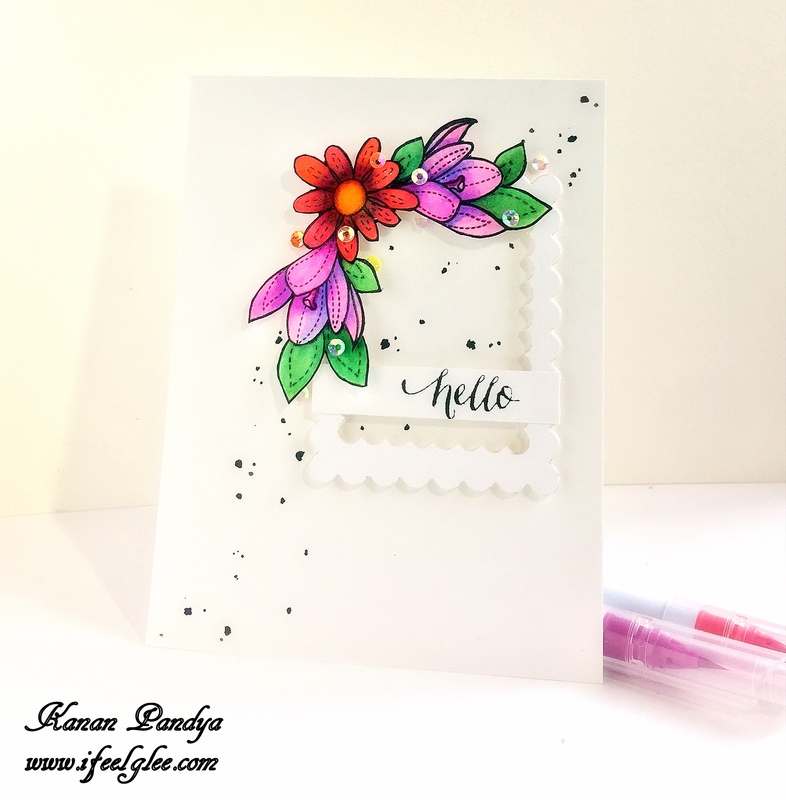 For this card I used my new “More Spring Flowers” by Simon Says Stamps. I water colored the images using Zig markers. Die cut a frame using Spellbinders frame die set. Arranged the flowers on the frame and added it on a card base. I added some black splatters on the main card base for more interest and lastly, added sequins. 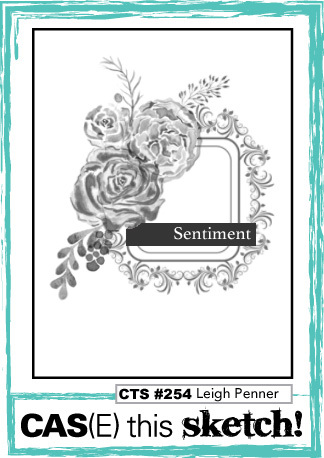 The sentiment is from the “Summer Flowers” by Simon Says Stamps. Love the CAS look of this card with those bright flowers. Hope you will like my card. Beautiful! Fabulous take on the sketch! Love the vibrant colors and the scalloped frame is so pretty! beautiful! i love the sketch and the pretty flowers with a touch of splattering. thank you so much for playing along with us at the penny black and more challenge. Beautiful colouring with joyful colours and stamps. Previous Previous post: Birthday Wishes! !